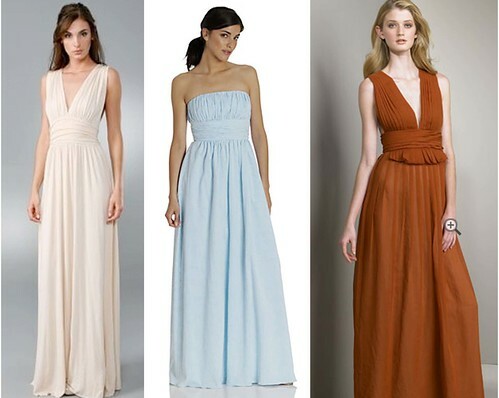 I’m all aboard the long dress trend. I think my wedding dress last year gave me a taste for it. They are so flattering and classy. I lucked out at Century 21 and found a DVF one. I might wear it to a wedding later this summer or something. I need to start jogging again though or it just might accentuate a curve or two that I don’t want exposed. Maggie Gyllenhaal is perfection. She’s my favorite. See this picture I pulled from Coquette’s post on the Dark Knight premier. I also found this DVF gem. So many choices out there. What a great trend, glad it’s back.